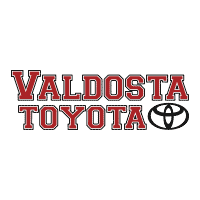 Why Buy from Valdosta Toyota in Valdosta? To help you make an informed and confident decision of where you choose to conduct your automotive business, we compiled what we consider to be the most important distinguishing factors surrounding our dealership. In today’s digital age, more than ever, we are aware that you can choose to do business with a near infinite number of car dealers. Therefore, we want to tell you, and more importantly, show you, how we provide a customer-focused and community-driven that sets us apart from the rest. Introducing, the VT Top 10! “You Have the Right to Receive Ethical, Informative, and Positive Information.” Seems simple, right? Unfortunately, most car dealerships do not abide by the Toyota and Valdosta Toyota way. Read the full Valdosta Toyota Bill of Rights, handwritten by General Manager Ricky Stokes himself. Find the perfect vehicle for you by searching and shopping for over 1000 new, pre-owned, and certified pre-owned vehicles on our online inventory, at all times. Hundreds of makes, models, and more, all at your fingertips. Still don’t see something you like? Let us see if we can find it for you! For the 6th consecutive year, and 12th time in our storied history, Valdosta Toyota has been honored with Toyota’s most prestigious and exclusive award. Learn more about how our customer-centric dealership experience continues to gain regional and national attention by clicking here. Having a home dealership means having a single location that is equipped to solve any and every automotive problem that you may encounter. Regardless of whether or not you purchased your vehicle from us, you can discover what it is like to have a one-stop-shop that always has your best interest in mind. You know that the Always 1000 Selection assures that you have a massive inventory to choose from, but that’s only half of the picture. Valdosta Toyota is the dealer with the deals, both on new and pre-owned vehicles. Don’t believe it? Browse our specials online and in-store! We want your trade, and we want to buy it for its full value. Don’t make the mistake of settling for a low-ball trade estimate from other local dealers or an unofficial online source… allow our experts to get you top dollar for your trade as you evaluate financing your next vehicle. Valdosta, the hub of South Georgia and gateway to North Florida, is perfectly positioned to suit your needs. Jump off of interstate-75 on exit 18 and pull into the parking lot of Valdosta’s most popular car dealer. Our location, inventory, and prices draw a crowd, so schedule your visit online today! As part of the Toyota family, your exceptional ownership experience starts with ToyotaCare, a no cost maintenance plan with 24-hour roadside assistance. The ToyotaCare plan covers normal factory scheduled maintenance for 2 years or 25,000 miles, whichever comes first. We believe that it is essential that our business is both deeply embedded and invested into our local communities. With customers stretching across much of South Georgia & North Florida, we diligently search for meaningful opportunities to remain involved and engaged in what matters most: the people. As if our deep discounts aren’t enough, our military members and recent college graduates can receive further rebates through SETF Programs when you lease or finance a new! Then, recommend a friend that buys a vehicle from us, and you can earn $100 more! There is no shortage of savings at Valdosta Toyota. Still not convinced? How about 10 more reasons to fall in love with the Valdosta Toyota Advantage? Do you not want to spend the entire day at a car dealership? Understandably not. That is why we are continually implementing new and innovative ways to make your car buying or servicing experience one that is both efficient and effective. Our expanding collection of online tools makes it easier than ever. Many hard-working members of our community have very difficult and limited schedules, so our staff works just as hard to ensure that our dealership is accessible every day of the week. Check our hours and plan your visit according to whatever best fits your schedule and your particular needs. Don’t put your vehicle at risk by placing it in the hands of untrained and unexperienced mechanics when you can experience only the best at Valdosta Toyota. Certified and trained professionals work with certified and high-quality materials in order to maintain and restore your vehicle to optimal condition. We believe that the cleanliness of a dealership is a direct reflection of how the dealership is managed and run on a daily basis. We carry a sense of pride in where we work and who we work with, and this attention to detail means that our customers can feel comfortable and confident upon arriving at our doors. Valdosta Toyota is a proud member of Butler Automotive Group. This Georgia-based dealership group provides additional strategic insight to ensure that our dealership exceeds expectations, but for the customer, it means direct access to a vast, collective inventory across manufacturers and dealers! From your first interaction with a receptionist to your last interaction with your representative, our culture and expectations begin at the management level. Active management from our seasoned professionals means first creating a standard, then holding every employee to that standard. The digital era has changed the automotive industry in many ways, but the dealership is still as important as ever. To mesh the online with the offline, we create open lines of communications across all platforms and mediums, allowing you to customize your experience to your preference. Without the strong relationships with loyal and loved customers that we have cultivated over the past 50 years, we would be just like every other dealership. But thankfully, we ensure that our customers feel like valued members of our family (and we throw the customer appreciation parties to prove it)! Talk can be cheap, but our hundreds of online reviews give credence to these claims being lived out on a daily basis. The positive ones provide encouragement as we abide by all of the above ideals, and the negative ones provide a source for genuine feedback and continual improvement. Read them all here.